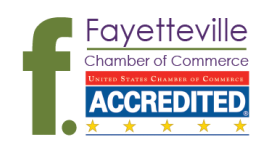 The Fayetteville Chamber boasts nearly 1,200 members in Fayetteville and the Northwest Arkansas region. If you are looking for a business in our area, please utilize our Member Directory Quicklink at the right side of the page. You can search by Keywords or by Categories. If your business isn't listed,﻿ Contact Us﻿ today!